Discussion in 'iPhone and iPad Games' started by SporkyTheCat, Nov 13, 2016. More than just a coloring book! 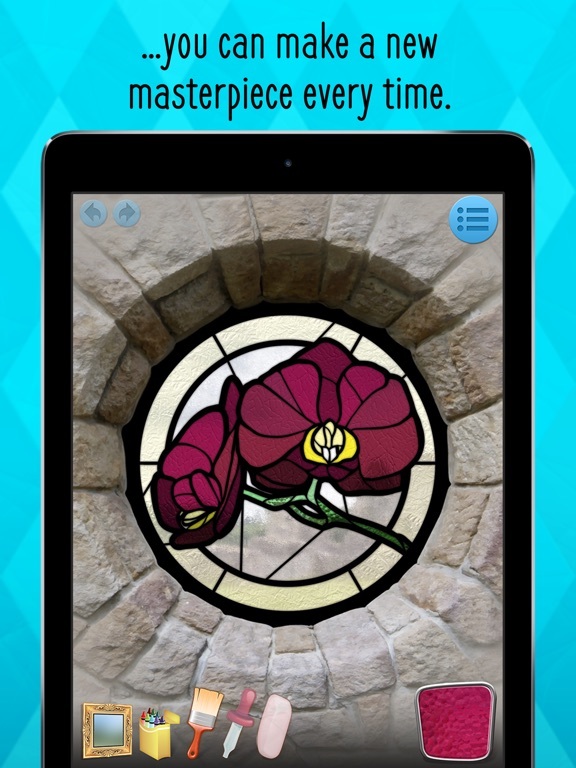 It's a charming collection of windows with realistic-looking stained glass. 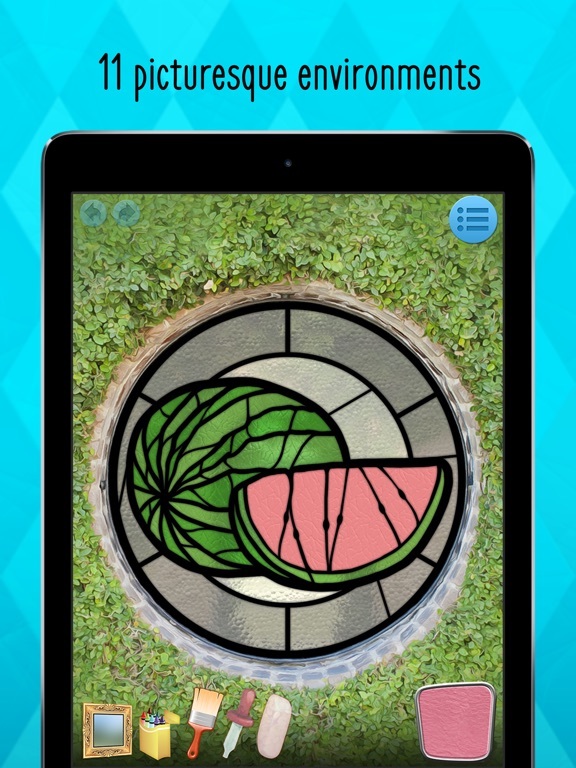 Choose from 96 beautiful windows in 6 fun categories—Fruits, Vegetables, Desserts, Flowers, and Fish—as well as 10 bonus geometrical windows. 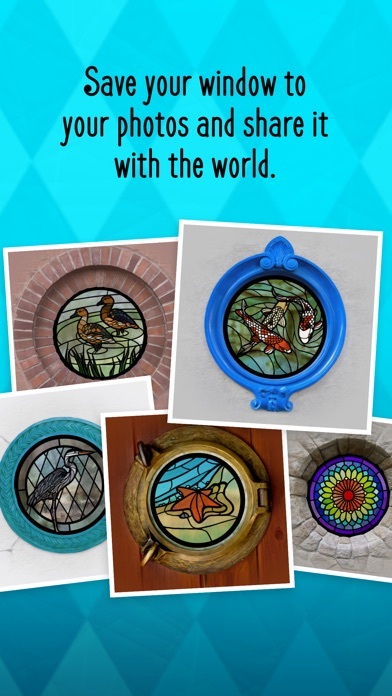 With a boundless variety of colors and 8 different glass patterns, you can make each window a unique and stunning work of art. 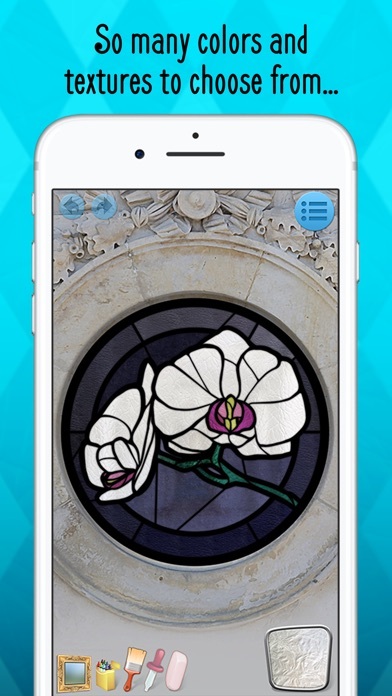 Features soul-soothing piano music by Frédéric Chopin (or you can listen to your favorite playlist) to help you relax and unwind. 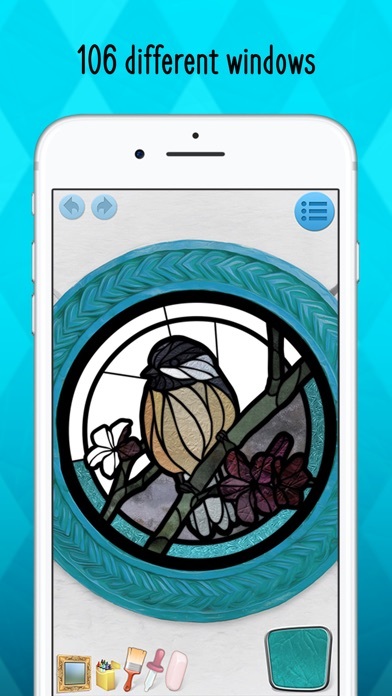 When you’re done, save an image of your stained glass window artwork to your photos. Then share it with the world. 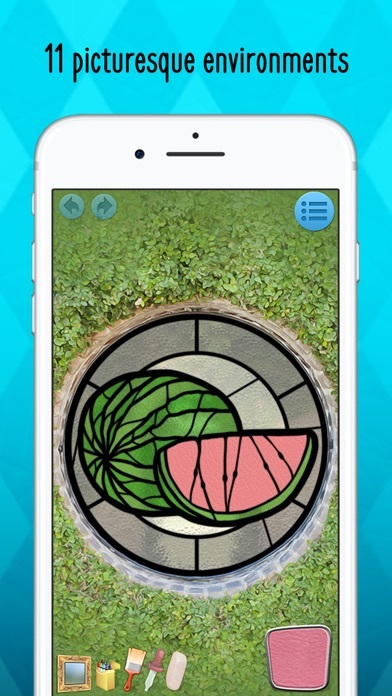 Adults and children alike can enjoy the app's design. 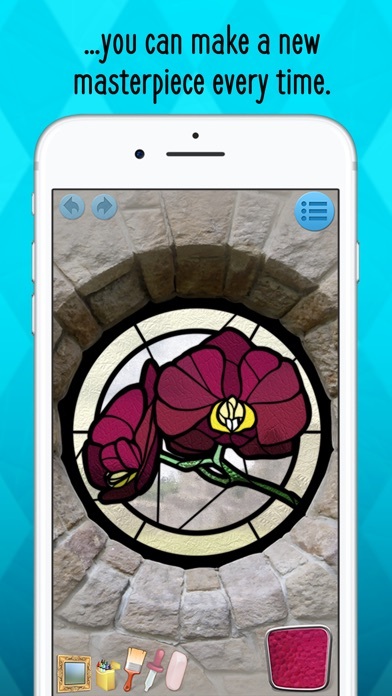 Some windows are simpler, with only a few dozen panes—others are very complex, with well over two hundred individual panes of stained glass to color. Each one was designed to be a fun and engaging activity to help you leave the stress of your day behind. Looks like fun! Grabbed a promo code! Thanks! It's remarkable what can be done with the opacity control which I'm starting to understand; mixing in muted colours and shadows from the outside landscape. It adds a whole new dimesion to the finished effect. This is as much art application as it is colouring book. Thanks! I tried to find a way to make the opacity control clear (no pun intended, haha). I'll try in future versions to better highlight that feature. Thanks for the feedback! Yes, thanks, and please consider making the slider much larger. At present it's a bit difficult to set precisely. A good suggestion! I'll add it to the update pipeline to consider. I'll PM you a couple of questions if you have time to help me iron out the details. Thanks again! 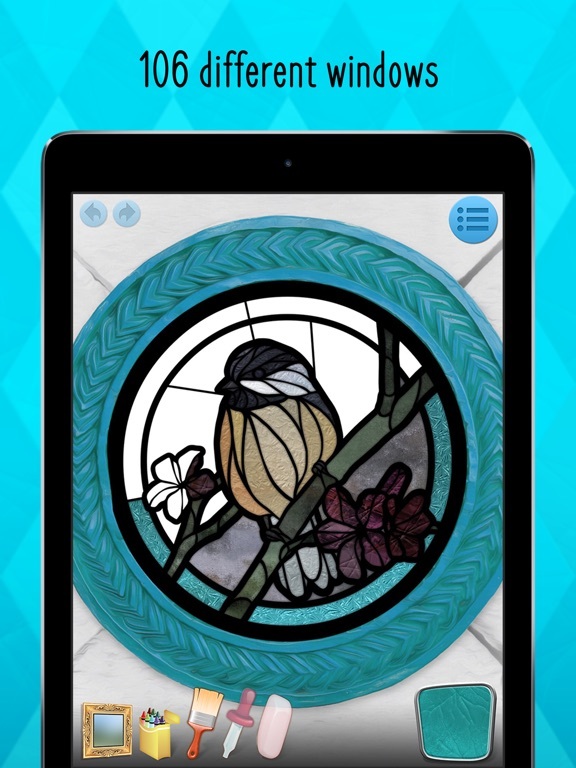 Really enjoying this wonderful arts & crafts type app! 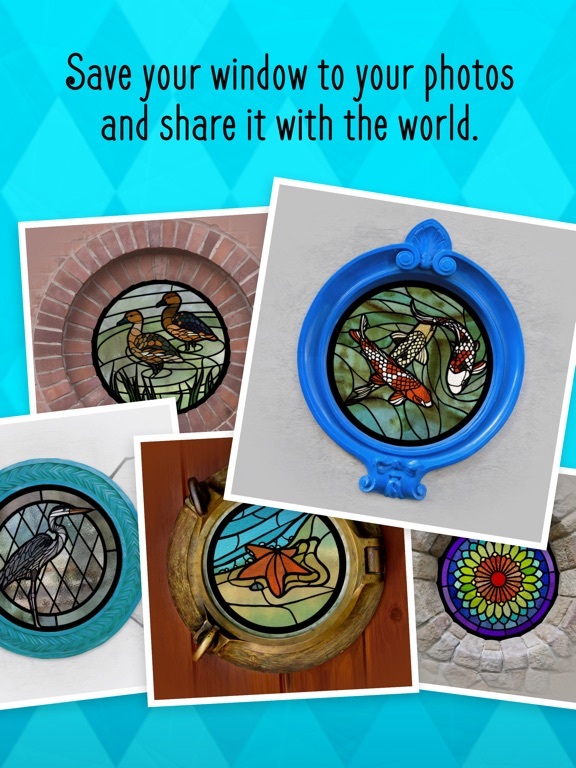 Made 2 of the stained glass projects, and they turned out REALLY WELL! Was SO impressed, I got it for my wife, who does NOT play any games or play with apps much at all! She's getting INTO it!!! She likes it! Tell you what! That's something!! You have no idea! An amazing feat! 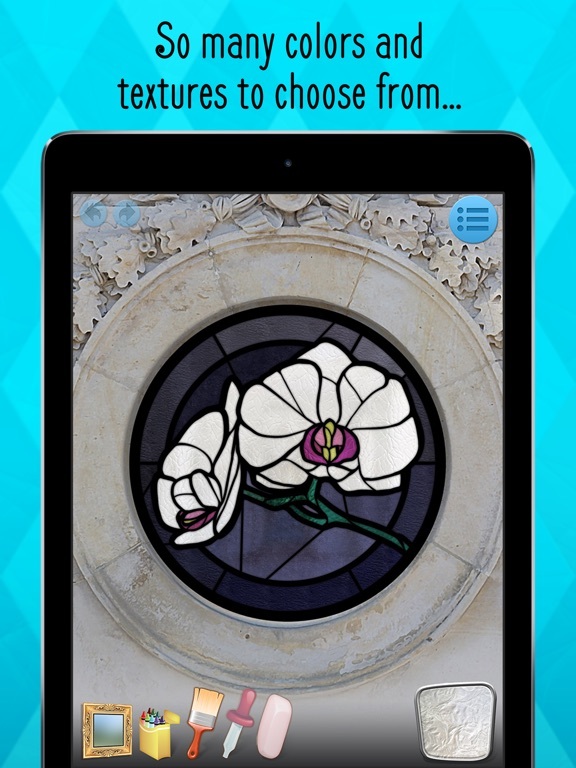 Goes to show what a cool app this is!! Very glad I saw this one! Happy to assist and I've replied to your PM, but don't hesistate to discuss feedback or ideas openly in this thread. These forums are used extensively for conversation between developers and app users. You're right! I was a little shy, but I've read a few other threads over the weekend and I can see that it's a very open place to bounce ideas and get suggestions. I can't thank everyone enough for all the feedback, and I wish I'd had the good sense to join the forums during development. Well that is such a kind comment that it's going to make MY wife cry! I'm pleased you gave it try and tremendously gratified that you both enjoyed it.